Vern passed away peacefully at home on April 5, 2019. He was a devoted husband, father, grandpa, and great-grandpa. He was born January 21, 1930 to Arlie and Anna Mae Walters in Harrison, Idaho. Vern grew up on the family farm until at the age of 15, they relocated to Coeur d' Alene. After graduating from high school, he joined the Air Force and served in the Korean War. Soon after his tour of duty and discharge, Vern met the love of his life Ella Gerths. Together they raised three children: Duane, Karen, and Jerry. The loving couple recently celebrated their 65th wedding anniversary. Vern retired in 1988 from Kaiser Aluminum Trentwood after 40 years of service. 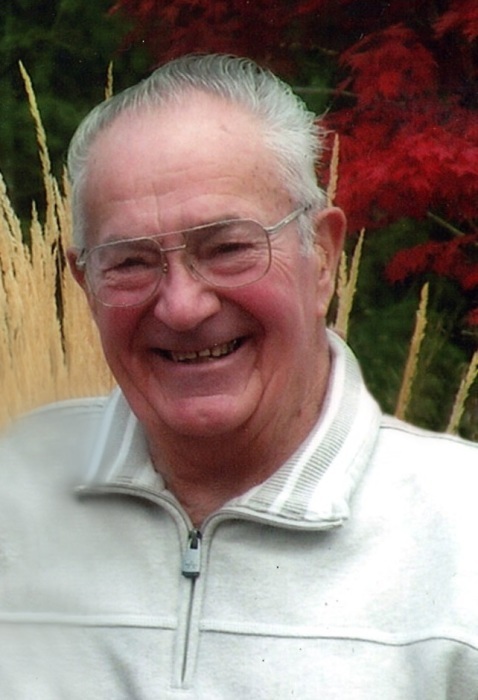 He loved spending every moment he could in the outdoors whether it be tending to their large beautiful garden, wading down a mountain stream catching brook trout, hunting on the breaks of the Salmon and Snake River or fishing the many lakes of the Northwest. Nothing pleased him more than to be driving in the high country and finding that secret huckleberry patch or seeing a buckskin tamarack standing by the road, just waiting for him to cut it down. Vern is survived by his wife, Ella; sister, Barbara Nicol; children: Duane (Kelly), Karen (Dale) Cone, Jerry (Sheila); grandchildren: Jennifer (Troy) Wabs, Stephanie (Troy) Blankenship, Chad (Besse) Cone, Amber Cone, Shelly (Scott) Darnell and nine great-grandchildren: T.J., Alexis, Hunter, Shayna, Maddox, Cyrus, Camden, Brenden and Bailey. He will always be on our minds and forever in our hearts. At Vern’s request, there will be no services.